Proof is proud to announce the recent placement of a detailed piece on the realities of labor and delivery on behalf of our client, the Association of Women’s Health, Obstetric and Neonatal Nurses (AWHONN), which serves to promote health and wellness among women and infants. 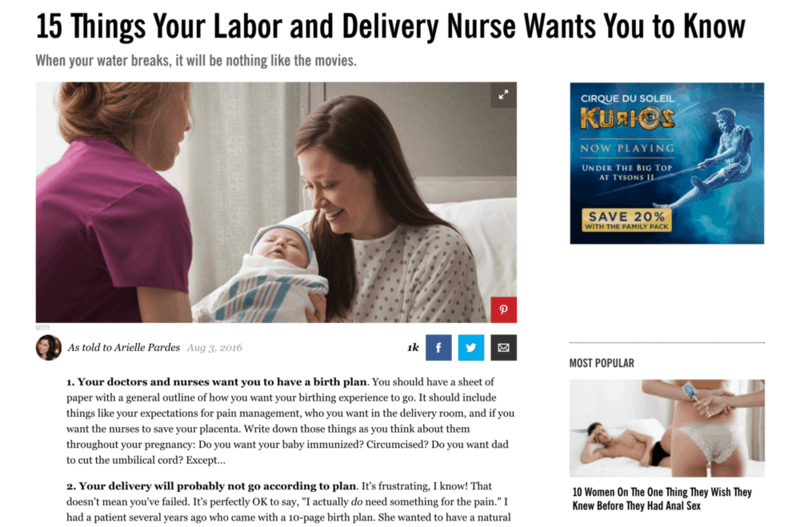 The Cosmopolitan Magazine article, “15 Things Your Labor and Delivery Nurse Wants You to Know,” features an interview with AWHONN nurse-spokeswoman Suze Ketchem and gives readers an honest and forthright perspective on what really happens on the unit and how to prepare. Learn more about our public relations services here.